Cadillac enters the ultra-luxury large sedan market with the 2016 CT6, which made its debut at the 2015 New York Auto Show. This cutting-edge flagship sedan is aimed at premium large-car competitors such as the BMW 7-Series, Jaguar XJ, Lexus LS, and Mercedes-Benz S-Class. Lightweight architecture was a key focus of the CT6’s development. Thanks to its aluminum-intensive structure, the CT6’s estimated curb weight will be less than 3700 pounds, according to Cadillac. 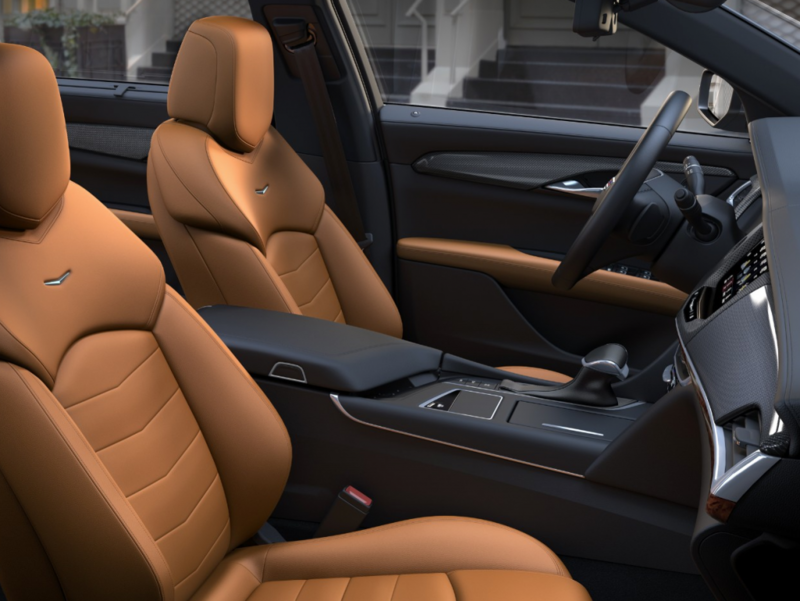 That makes the CT6 lighter than midsize luxury cars such as the BMW 5-series and Mercedes-Benz E-Class, yet the CT6’s overall dimensions and interior spaciousness (40.4 inches of rear-seat legroom, for example) are squarely in premium large-car territory. The top-line engine option is a twin-turbo 3.0-liter V6 with an estimated 400 horsepower; it utilizes fuel-saving cylinder-deactivation technology. A 265-hp turbocharged 2.0-liter 4-cylinder or a 335-hp 3.6-liter V6 are also available. 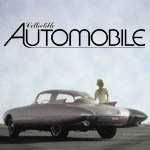 All three power plants use an 8-speed automatic transmission. The CT6 is available in rear-wheel drive or all-wheel drive, and promises to be quite agile for its size. Available handling-oriented features include Magnetic Ride Control; Active Rear Steer; and selectable Tour, Snow/Ice, and Sport drive modes. Technology/safety features abound as well, including Pedestrian Collision Mitigation, Enhanced Night Vision, Rear Camera Mirror, Advanced Park Assist, wireless phone charging, and Wi-Fi internet capability. The CT6’s Cadillac CUE system uses a 10.2-inch interface screen with a console-mounted touchpad. The CUE screen can display a 360-degree camera view around vehicle, and also offers an industry-first video recording system. The system can record front and rear camera views while driving, as well as a 360-degree view if the vehicle’s security system is activated. Opulent available luxury features include a rear-seat infotainment system with dual articulating screens built into the front-seat headrests, Quadzone climate system with ionizing air purification, hands-free power trunklid, front seats with five massage programs, heated/cooled reclining rear seats with massage function, and a Bose Panaray audio system with 34 speakers. 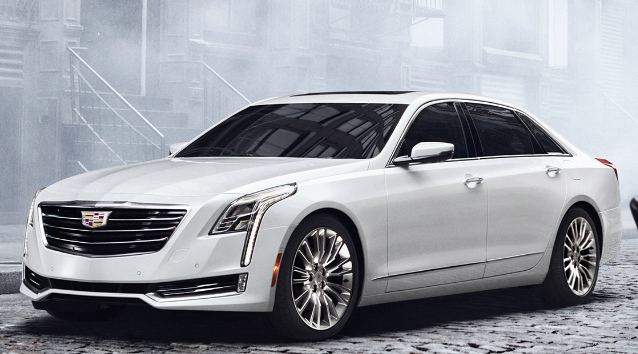 The CT6 is slated to go on sale in late 2015. Nondescript alpha-numeric name aside, the CT6 looks to be a solid contender in an important market category for Cadillac. If GM wants to be considered a global player in the luxury-car market, Cadillac needs to be able to stand among the best “executive express” big sedans from Europe and Japan. The CT6 appears to have the premium-content goods and the swagger to be competitive in its class. It wears handsome rear-wheel drive proportions for a presence that the Cadillac XTS couldn’t quite achieve, and it boasts a dizzying array of luxury and technology features. We’re interested to see how Cadillac chooses to price the CT6, and how it fits into a segment that is well established with strong rivals. Written by: Damon Bell on April 1, 2015.on February 14, 2019.